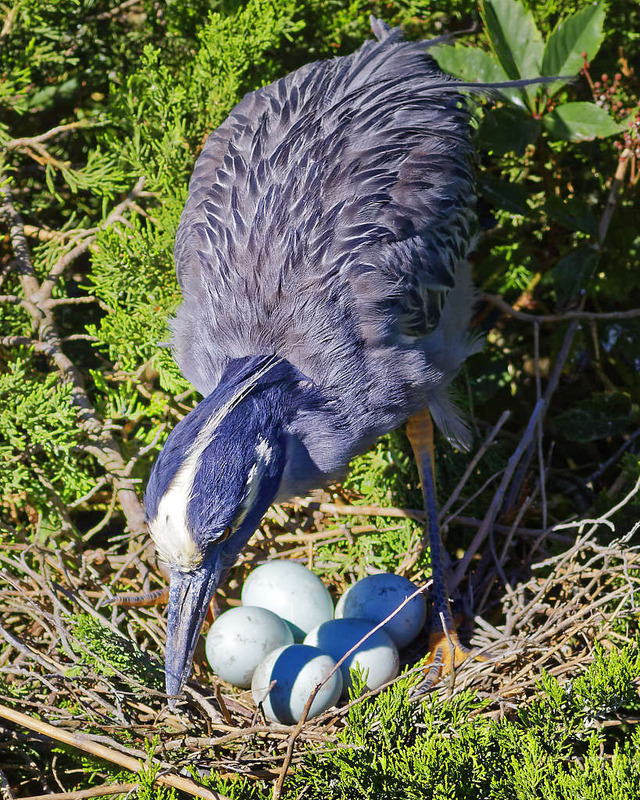 Yesterday, in this series first post, I wrote that it was late in the season.This was because I saw many juvenile birds at the rookery, and only one nest with unhatched eggs. 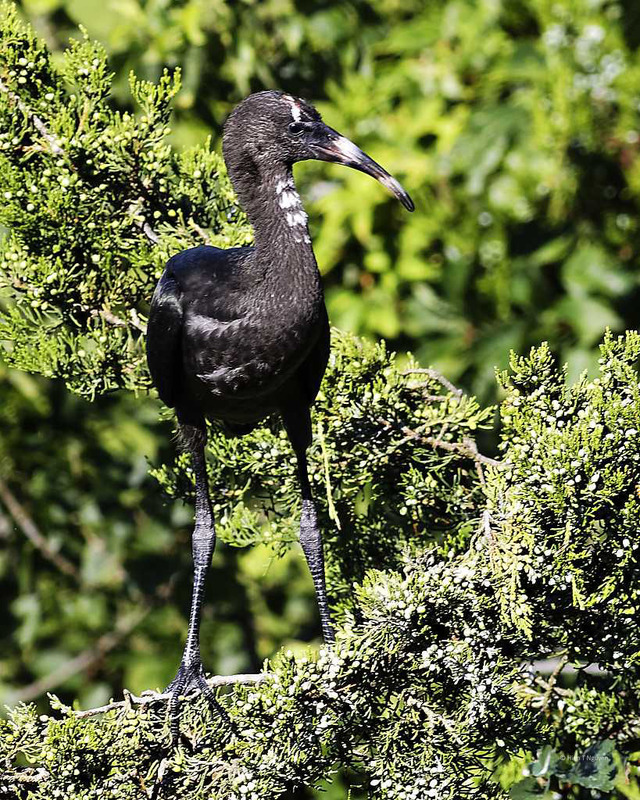 There were some juvenile Glossy Ibises, very hungry ones that did not give their parents any respite as they kept demanding for more food. They caused a lot of commotion from one end of the rookery to the other, juveniles chasing their parents to get food from their bills! 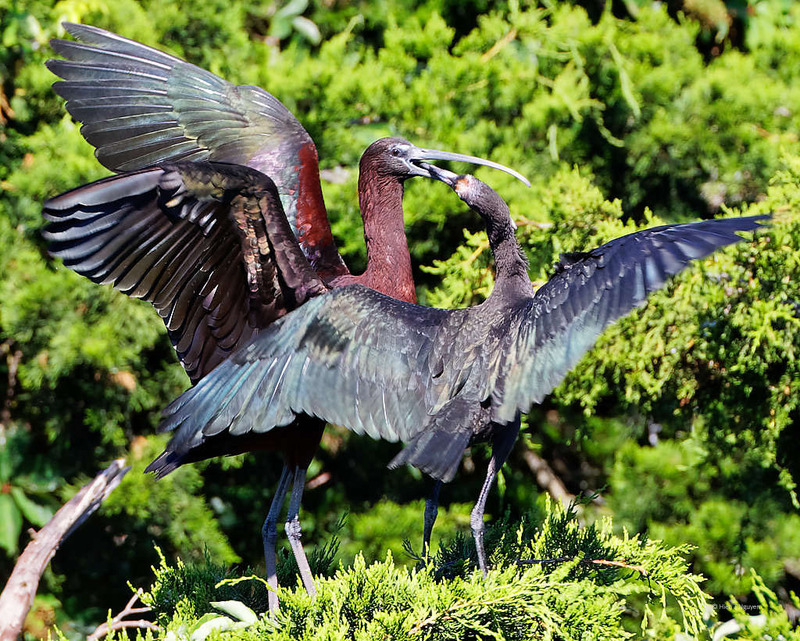 Glossy Ibises, adult and juvenile. 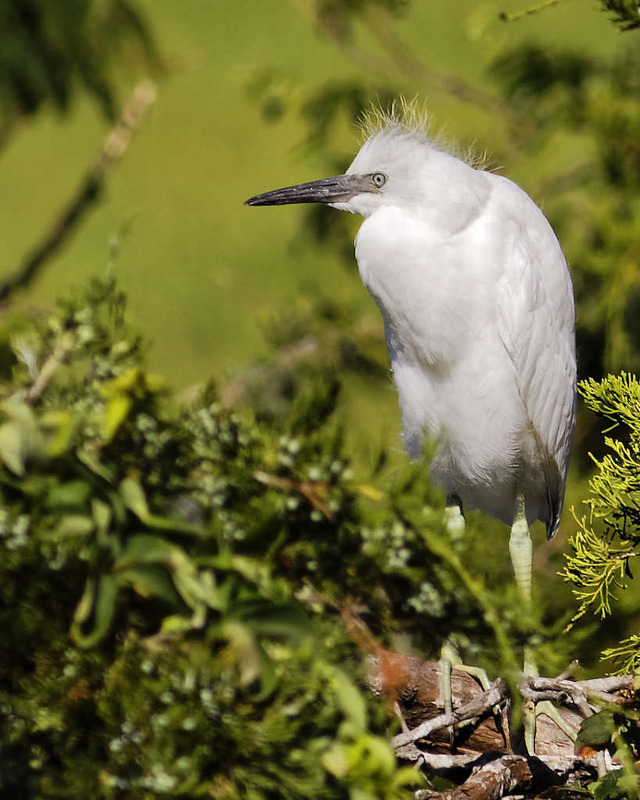 I also saw the following juvenile, which I am guessing is a Little Blue Heron. If so, it would be a first sighting for me. If you know it is a different bird, please tell me. Ocean City, NJ is a resort town in South Jersey on an island which can be reached via a causeway. Driving on the causeway, before arriving in Ocean City, there is a turn-off for a Welcome Center. 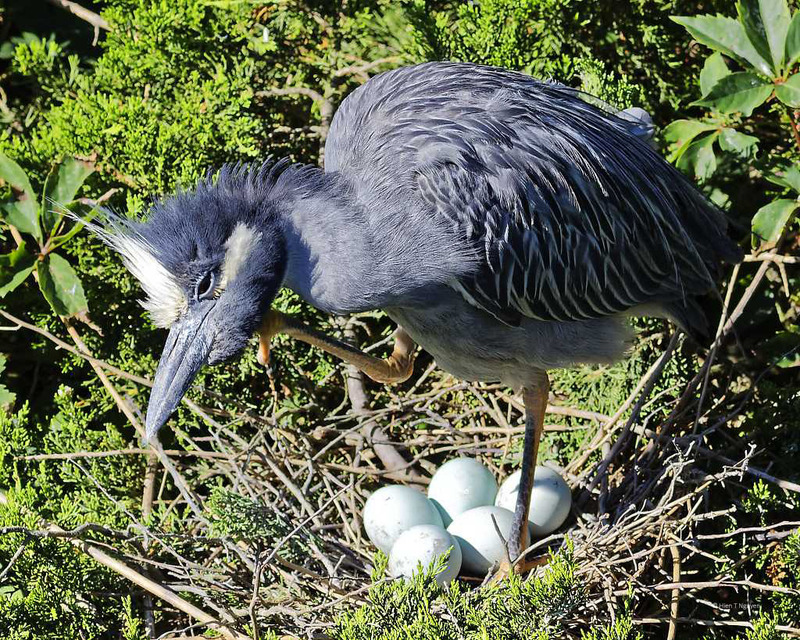 From a sidewalk right next to the center, every Spring and Summer it is quite easy to take pictures of Herons, Ibises, Egrets, and many other birds that fly in from the South to breed and raise their chicks. 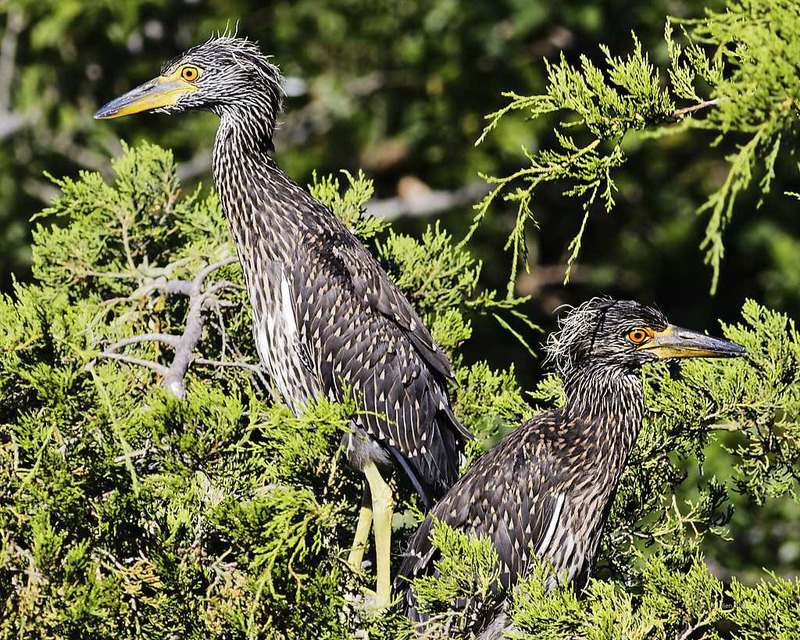 The sidewalk is almost as tall as the rookery trees, so one can look down on their nests and watch activities from breeding to incubating and finally fledging just before the birds migrate South. The birds seemed unperturbed by all the human lookers and photographers. I missed going there last year, and this year I only managed to get to the rookery this past weekend. 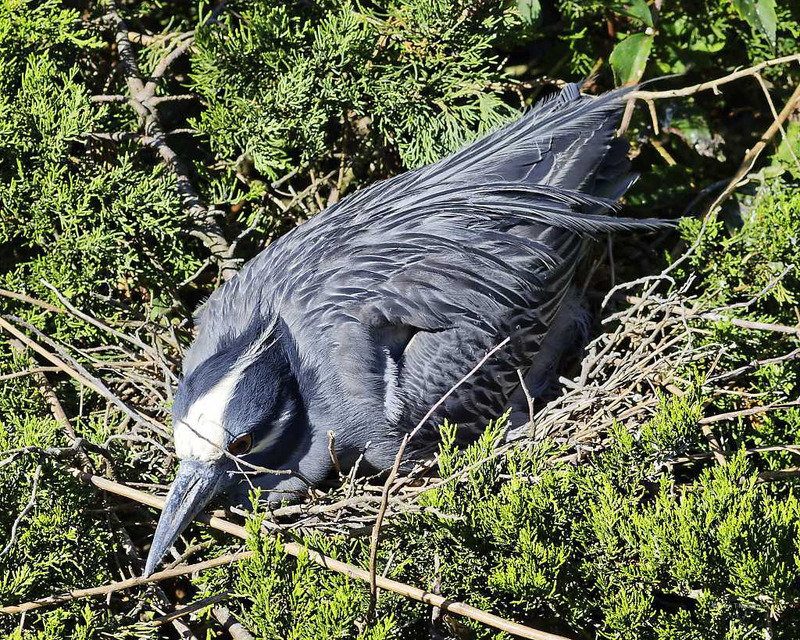 It is late in the season, but I still saw a Yellow-crowned Night Heron nest with unhatched eggs. The tired-looking mother had just stood up to scratch herself. After some more preening, she tidied up the nest. Then she sat down and resumed incubating. The eggs should be hatching in a few more days. 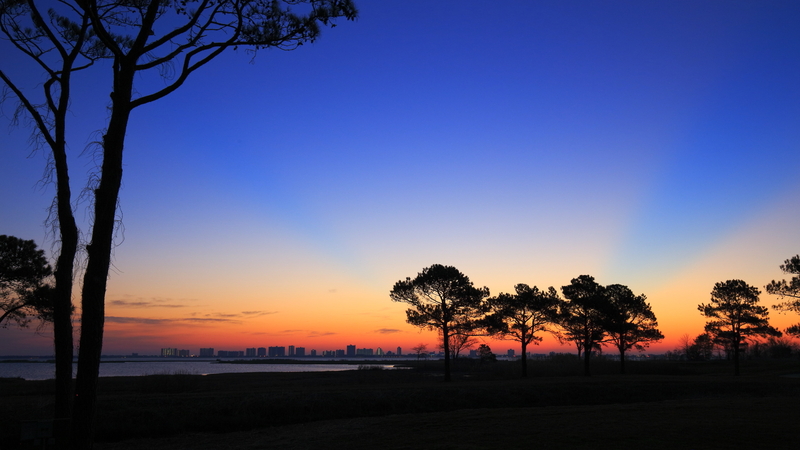 Here are my entries for it, a sunrise photo taken in Ocean City, MD and a sunset photo taken in Marina, CA. Sunrise over Ocean City, MD. 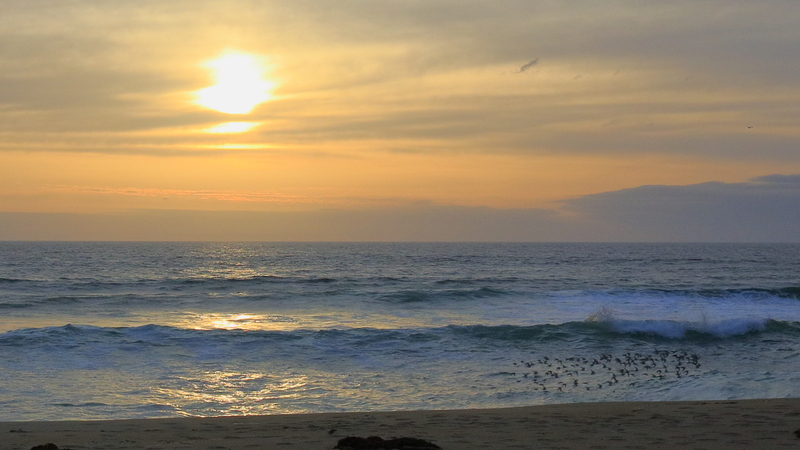 Sunset over beach at Marina, CA. 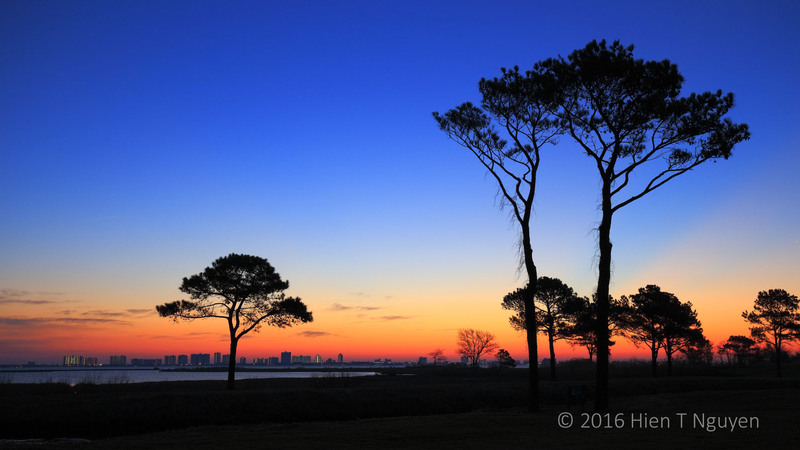 Early this morning, at the Links at Lighthouse Sound, I took the following shot of the sun rising over Ocean City, MD. It was 6:19 AM and the place was totally deserted, not that I was complaining.